NEW ORLEANS – For 42 years, Marilyn LeBlanc-Downey questioned the fate of her older brother, Ferris Jerome LeBlanc, who disappeared from their home near San Jose, California, in the early 1970s. In 2015, LeBlanc-Downey and her son, Skip Bailey, found their answer in a Google search. 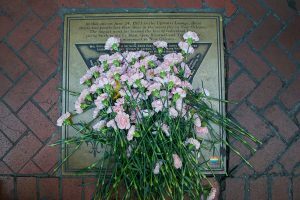 LeBlanc, an openly gay man, was one of 32 killed when an arsonist set fire to the UpStairs Lounge on June 24, 1973. The family didn’t know LeBlanc was even in New Orleans at the time of his death, or that he had died. 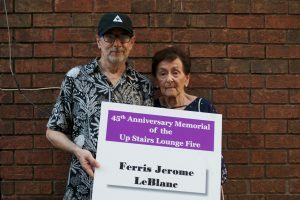 LeBlanc’s family gathered with nearly 200 others for an interfaith memorial service and second line parade to honor LeBlanc and others on the 45th anniversary of the fire June 24. Before the Pulse Nightclub shooting in 2016, the UpStairs Lounge fire was the largest mass murder of LGBTQ individuals in U.S. history. The prime suspect in the fire, a gay man named Roger Nunez, was removed from the gay bar earlier in the evening, and later confessed to friends he set the fire in anger. No arrests were made, and Nunez killed himself in 1974, LGBT+ Archives Project of Louisiana President Frank Perez said. Though the fire was never investigated as a hate crime, the city’s response reflected the homophobic climate of the time, said Perez. He said politicians and faith leaders at the time remained silent on the issue, despite issuing condolences and public days of mourning for two less deadly fires that occurred in the months preceding the UpStairs Lounge arson, Perez said. In 2013, Archbishop Gregory Aymond of New Orleans apologized. The Catholic Church and most churches refused to host memorial events and barred the families of the deceased from burying the dead in religious services. The city’s strong Catholic community remained mostly silent in the face of the tragedy. 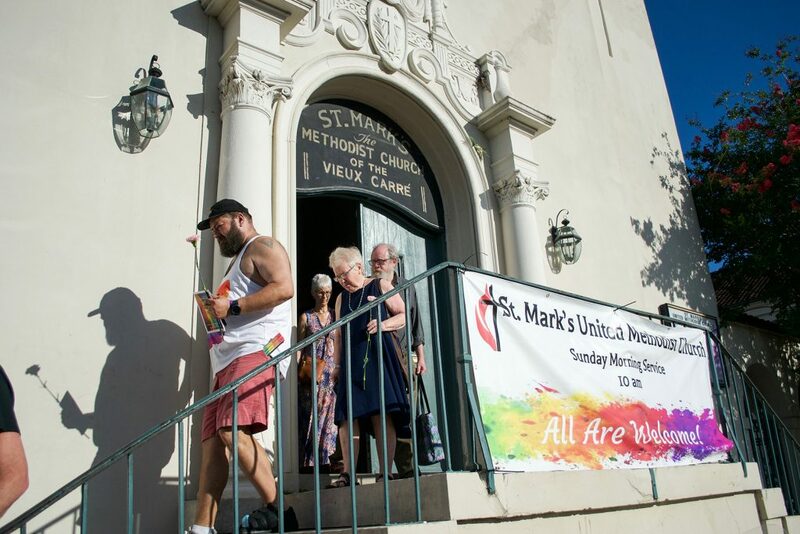 St. Mark’s United Methodist Church stepped in to serve the aggrieved. The church hosted a memorial service for the deceased in conjunction with Metropolitan Community Church founder Troy Perry Jr. The Metropolitan Community Church of New Orleans pastor Rev. Bill Larson and at least 12 congregants died in the blaze. Perry, in a letter read by current Metropolitan Community Church of New Orleans pastor Rev. 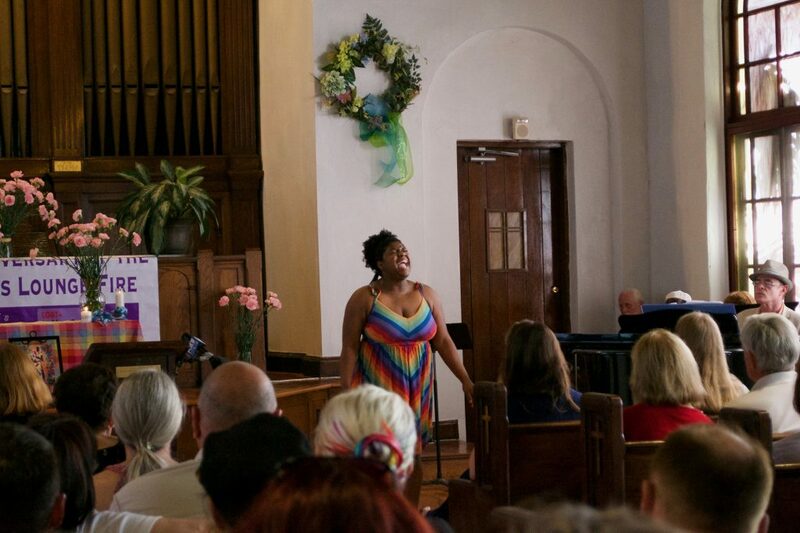 Alisan Rowland, thanked St. Mark’s and the June 24 attendees for standing for the UpStairs Lounge victims today. Sally Buchman, 67, said remembering the past is crucial to prevent history from repeating. 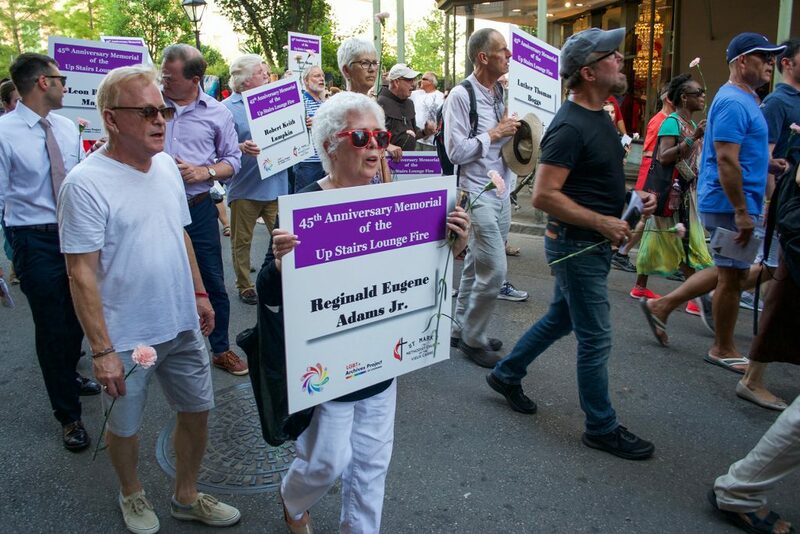 Buchman, scanning the largely older crowd, said she hopes the younger generation will take time to embrace LGBTQ history and recognize the struggles of past generations. This entry was tagged French Quarter, Homophobic, New Orleans, Upstairs Lounge. Bookmark the permalink.